Acne is predominantly an adolescent condition. Yet the stereotype of a surly teen staring despondently into their smartphone following an outbreak only tells part of the story. 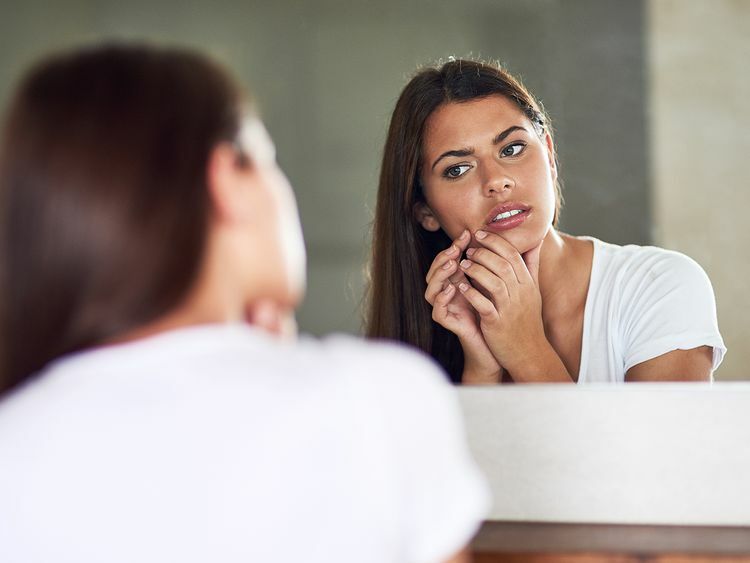 While acne is inherently associated with the sort of hormonal fluctuations that occur during adolescence, it is also a condition that affects adults. Other factors that can trigger acne include diet, with the consumption of dairy foods with high sugar content associated with outbreaks. “A certain diet can increase insulin levels and contribute to an increase in oil secretion from the glands and stress can increase cortisone levels, which can increase acne,” says Dr Hammadi. Excessive use of make-up, which clogs the pores and exacerbates the problem. Patients who visit DHA’s dermatology department are not treated based on the number of pimples but by the type of pimples. Generally, patients with blackheads and whiteheads are prescribed topical remedies in the form of creams and cleansers. Patients with moderate acne are generally given oral antibiotics and for severe cases, isotretinoin, which is a vitamin A retinoid, is prescribed. Dr Hammadi emphasises that anyone taking isotretinoin pills must seek medical advice. “Females often refer to this as the beauty pill,” he says. “It is a very effective pill for acne but it is very strong so it should be controlled. Patients should have a blood test so that we can check their liver enzymes, their lipid profile and patients should not take it if they are looking to become pregnant because it is a teratogen medicine [highly likely to cause birth defects]. Another important reason to seek medical advice is that an outbreak of spots could be indicative of another condition aside from acne. One condition that is relatively common in the region for females is polycystic ovary syndrome (PCOS). “While there is no specific treatment for the condition the best way to approach those patients is to encourage them to follow a healthy lifestyle by controlling their weight and exercising regularly,” says Dr Hammadi. When we prescribe antibiotics, [it takes] a minimum of six to eight weeks before we start seeing improvements. It’s common for people with acne to pursue a number of different treatment avenues with different specialists and suffer a number of setbacks. “In general, the treatment of acne is not difficult but the treatment of post-acne scarring can be challenging,” says Dr Hammadi. “Some people believe that if you don’t treat acne, it will go away eventually. We want acne to disappear, but we want it to disappear without scarring."